Industrial Relation and personnel Management (PGDIRPM) : This course was started the year 1984 . 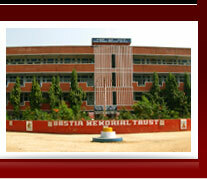 It is recognized by Govt of Orissa and affiliated to Sambalpur University. The duration of the courses is two year(2yr) . the teaching programme and work study plan will be the same as in the university the industrial tour programme will be organized for practical experience by the institute . But all expeanses are to be boone by the students.